We’re happy to announce that we’ve just been recognized by TripAdvisor for getting consistently high marks from our guests over the past year. Because of this, we have earned the TripAdvisor “2018 Certificate of Excellence” Award. It appears we’re doing some good work out there. 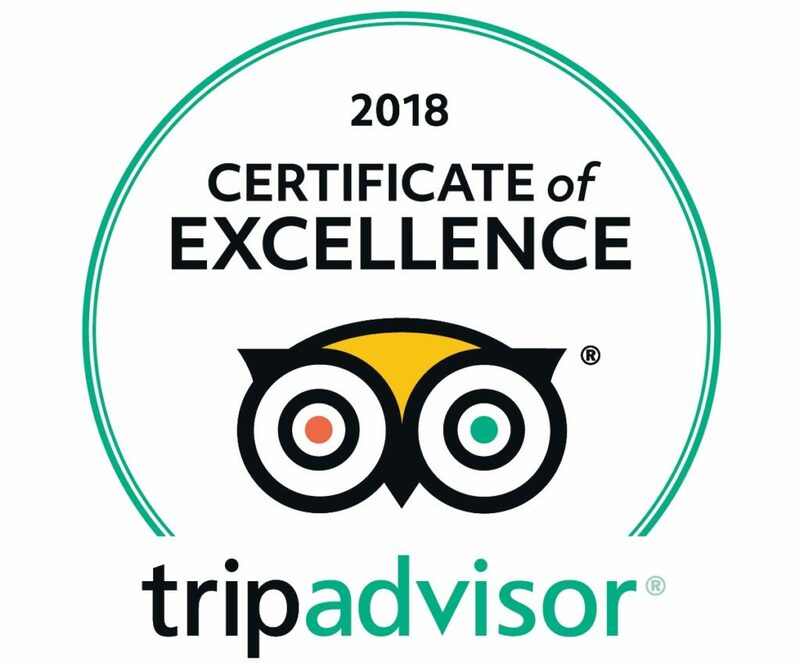 The Certificate of Excellence accounts for the quality, quantity and recency of reviews submitted by travelers on TripAdvisor over a 12-month period. To qualify, a business must maintain an overall TripAdvisor bubble rating of at least four out of five, have a minimum number of reviews and must have been listed on TripAdvisor for at least 12 months. Thank you for this honor, TripAdvisor, but the thanks really goes out to all of you who have praised us with great reviews on TripAdvisor, Facebook, and of course on our own testimonials page.